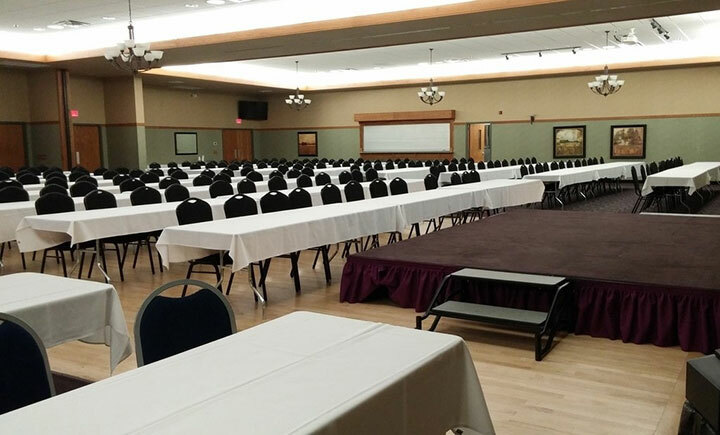 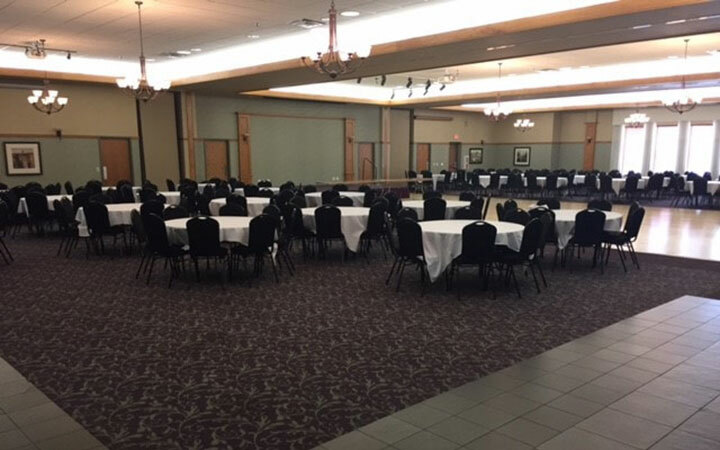 The Center has rooms of several sizes available, including the Ballroom, which can be divided into 1, 2 or 3 separate meeting areas. 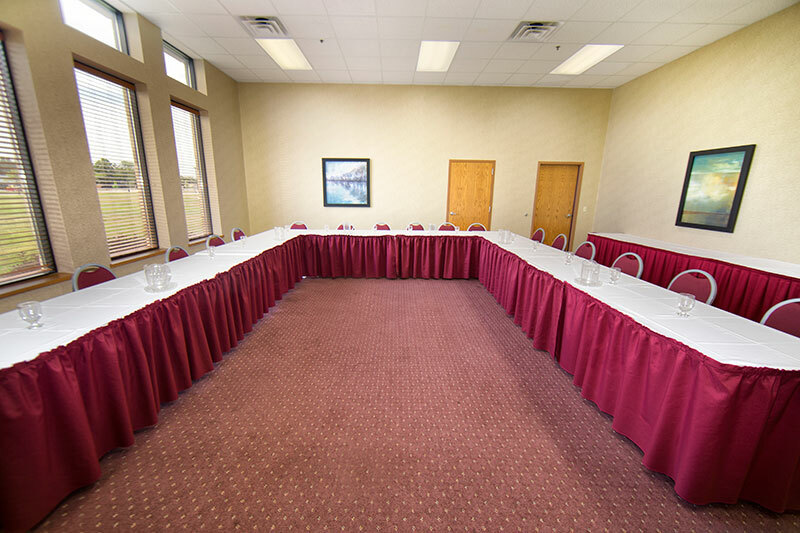 Follow the links below for more information and pictures of each room. 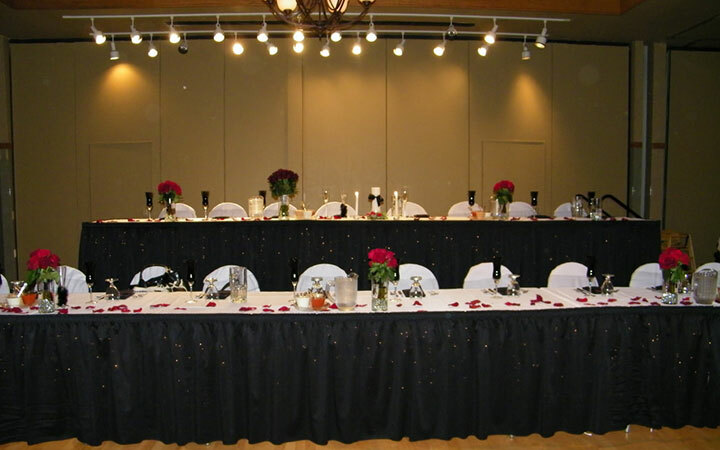 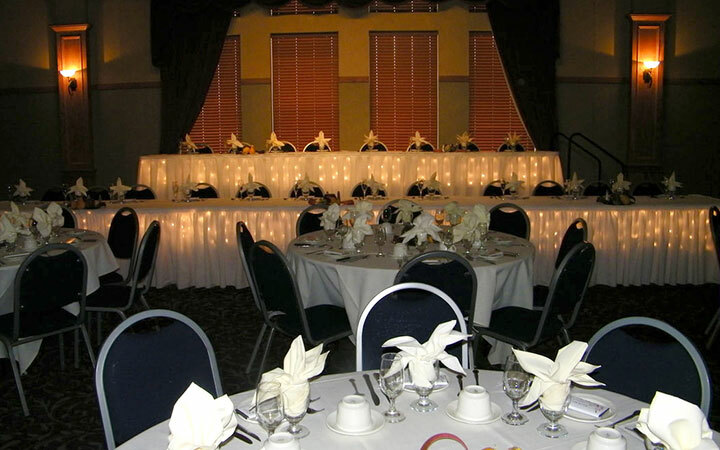 Ballroom 91′ x 59′ 5369 sq ft.
Our elegant ballroom features a stage area, state-of-the-art sound system, drop down projector screens and wireless internet. 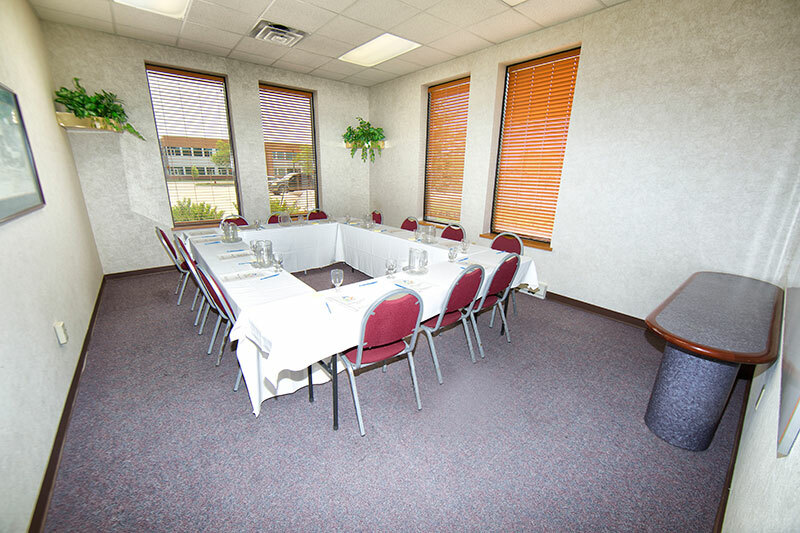 The 5369 square foot room can be divided into 1, 2 or 3 separate meeting areas. 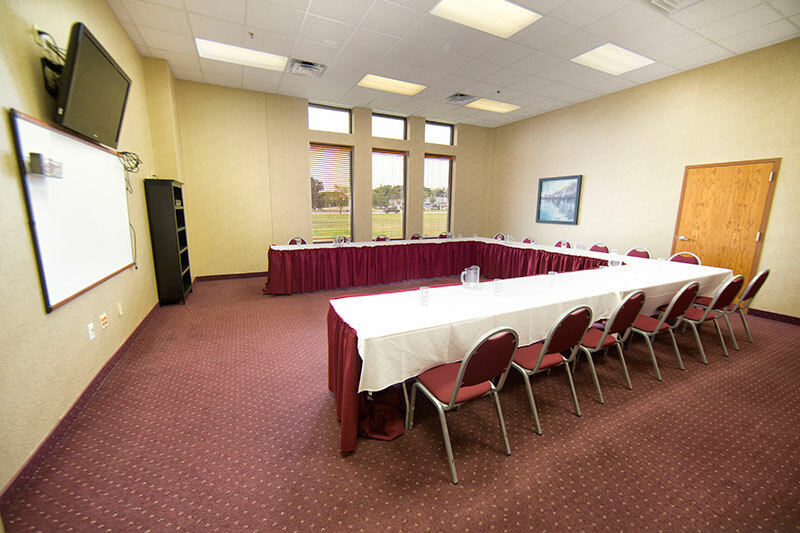 Social Room 19′ x 38′ 684 sq ft.
Club Room 25′ x 25′ 625 sq ft.